As expected, the Liberal Party of Canada has, once again, completely ignored racism within their own party. 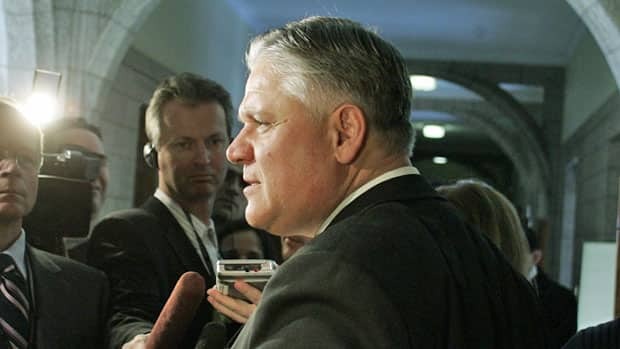 As reported by Macedonian Human Rights Movement International (MHRMI) on March 8, 2011, Liberal MP Jim Karygiannis spewed out more anti-Macedonian hate, caught on video, at a lecture titled “Insight to Hellenism” at the University of Toronto on March 5, 2011. While praising the lecture, which glorified Greece’s persecution of Macedonians and which defended the bombing of Macedonian civilians during Greece’s Civil War, Karygiannis once again referred to Macedonians as “Skopjans”. This is a term used by Greece to negate the ethnic identity of Macedonians and evokes Greece’s horrific campaigns, past and present, at ethnically cleansing or forcibly assimilating its large Macedonian minority. On March 8, MHRMI called on “…Canadian politicians, regardless of party affiliation, to demand Jim Karygiannis’ immediate resignation.” To our knowledge, this was to no avail. Ironically, during the election campaign, every other controversial issue related to the “ethnic vote” seemed to be embraced by every political party and reported on in the media. While addressing one of the guest speakers, Christos Karatzios, Karygiannis said “This (lecture) has to be brought into the House of Commons”, and “…come and enlighten the rest of my colleagues on what is Greece…” He added, “Sir, I would welcome you to send a letter to all the members of parliament…I’d be delighted to help”. Karygiannis said “…The Skopjans as I have to politically call them…”. What motivates him “politically” to use such a derogatory term? Is he in Canadian parliament to carry out the work of the Greek government? Karygiannis also referred to Macedonians as “Skopjans” in an interview for the Globe and Mail on September 21, 2007, following Canada’s recognition of the Republic of Macedonia. Canadian-Macedonians were outraged and flooded the Liberal Party with demands that Karygiannis be reprimanded. The Liberal Party ignored the issue and instead chose to attack Canada’s recognition of Macedonia, pandering to the Greek-Canadian community. MHRMI reiterates its call on Canadian politicians, regardless of party affiliation, to demand Jim Karygiannis’ immediate resignation. We ask that concerned Canadians do the same via the contact information on our website. Jim Karygiannis’ continued presence in Parliament is an affront to traditional Canadian values. Liberal MP Jim Karygiannis spewed out more anti-Macedonian hate speech, caught on video, at a lecture titled “Insight to Hellenism” at the University of Toronto on March 5, 2011. While praising the lecture, which glorified Greece’s policy of denying the existence and persecution of its large Macedonian minority and which defended Greece’s bombing of Macedonian civilians during Greece’s Civil War, Karygiannis once again referred to Macedonians as “Skopjans”. This is a term used by Greece to negate the ethnic identity of Macedonians and evokes Greece’s horrific campaigns, past and present, at ethnically cleansing or forcibly assimilating its large Macedonian minority. Karygiannis encouraged one of the guest speakers, Christos Karatzios, to send a letter to Canadian MPs and to “… come and enlighten the rest of my colleagues on what is Greece…” . He accused Prime Minister Harper of “selling out” Greek-Canadians because of the Conservative Party’s recognition of Macedonia. But will the Liberal Party reprimand him? Karygiannis referred to Macedonians as “Skopjans” in an interview for the Globe and Mail on September 21, 2007, following Canada’s recognition of the Republic of Macedonia. Canadian-Macedonians were outraged and flooded the Liberal Party with demands that Karygiannis be reprimanded. The Liberal Party ignored the issue and instead chose to attack the Conservative Party’s recognition of Macedonia, pandering to the Greek-Canadian community. Ironically, the Liberal Party and their apologists consistently accuse the Conservative Party of the underhanded tactics that Liberals employ. The federal and provincial Conservatives have come under recent attack for targeting ethnic voters and for ties to banned separatist groups. However, pandering to ethnic communities is a Liberal specialty and it is Jim Karygiannis who has notorious ties to the Tamil Tigers, classified by the Canadian government as a terrorist organization. Paradoxically, Karygiannis is an Associate Member of the House of Commons’ Standing Committee on Justice and Human Rights. 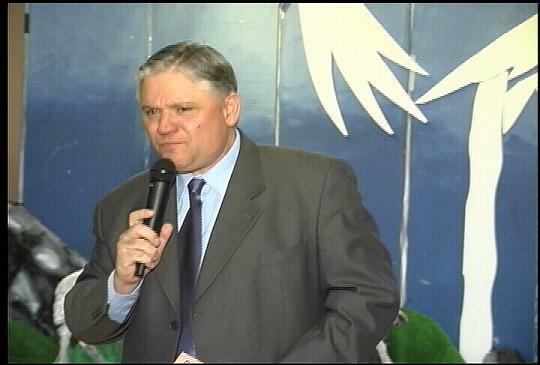 Macedonian Human Rights Movement International (MHRMI) calls on Canadian politicians, regardless of party affiliation, to demand Jim Karygiannis’ immediate resignation. We ask that concerned Canadians do the same via the contact information below. Jim Karygiannis’ continued presence in Parliament is an affront to traditional Canadian values. Today, the United Macedonian Diaspora (UMD) met with The Right Honourable Stephen Harper, Prime Minister of Canada, on Parliament Hill in Ottawa. The meeting was to discuss Canada-Macedonia bilateral relations and Macedonia’s aspirations to join NATO. UMD bestowed upon Prime Minister Harper its highest honour, the Goce Delchev Award, for his bold and honourable leadership in international affairs, and his recognition of Macedonia by her constitutional name, solidifying the excellent relationship between Canada and Macedonia. 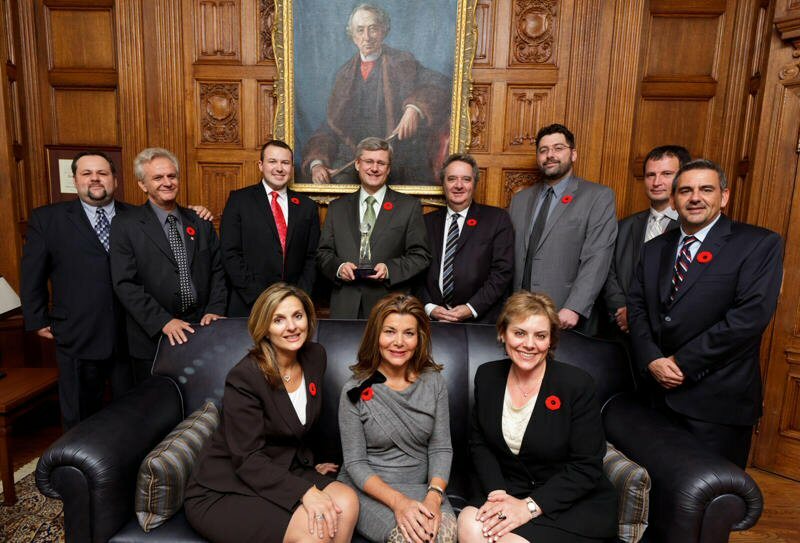 Prime Minister Harper is the first recipient of the Goce Delchev Award. Canada is home to close to a quarter of a million Canadians of Macedonian descent, with early immigration to Canada starting well over a century ago. Having enriched Canada’s mosaic with their hard work and cultural legacy, Canadian-Macedonians today are leaders in the fields of arts, business, community affairs, entertainment, television, fashion, film, political life, and sports. Today’s Canadian-Macedonians are ambassadors for their community and continue to build the bridge between their new and old homelands. The Goce Delchev Award is UMD’s highest honour and the recipient of this award is selected based on the impact that they have had on Macedonians around the world, their record of public service, and their advancement of justice, peace, democracy, personal freedom and economic opportunity. The Goce Delchev Award is named after the famous 19th century Macedonian leader Goce Delchev, who fought for Macedonian independence from the Ottoman Empire. Delchev held views that are epitomized by his well-known quote, “I understand the world solely as a field for cultural competition among the peoples”. The UMD Board of Directors unanimously selected Prime Minister Harper as the first recipient of this award, for his impact on Macedonia and Macedonians globally. Members of the delegation included: Vonna Bitove, Executive Director/Owner, Wayne Gretzky’s Restaurant & Executive Director, The Bitove Foundation; Mark Branov, Editor, UMD Voice Magazine; Jim Daikos, UMD Board Member/Director of United Macedonian Diaspora (Canada) & General Manager, Wimpy’s Diners; Metodija A. Koloski, President of United Macedonian Diaspora; George Koroloff, Partner, Koroloff & Huckins; George Markou, UMD Advisory Council; Founder & Honorary Chair, Unigistix Inc; Elizabeth Naumovski, Member, UMD Advisory Council, Vice President of Marketing at Caldwell Securities Ltd., Board Member, Macedonian Film Festival; Goran Saveski, UMD Board Member & Liaison Officer for United Macedonian Diaspora (Canada), Director of Operations, Delo Logic; Chris Stanwyck, Co-Owner, Triple “A” Cheese Co. Ltd.; and Marilyn Trentos, President, Canadian Macedonian Place; Vice President & Investment Advisor, RBC Dominion Securities.